What Goes Well With Corn? 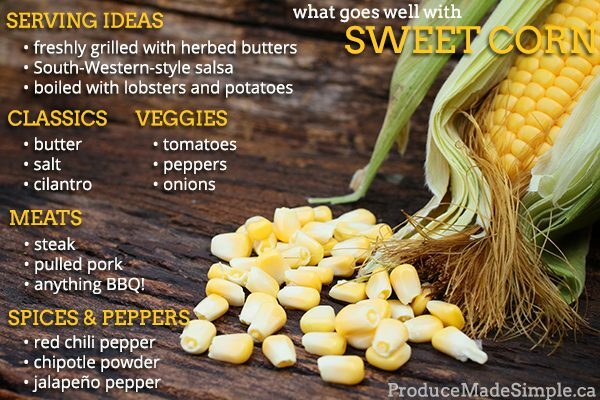 Corn’s sweet flavour and crunch go well with almost anything. 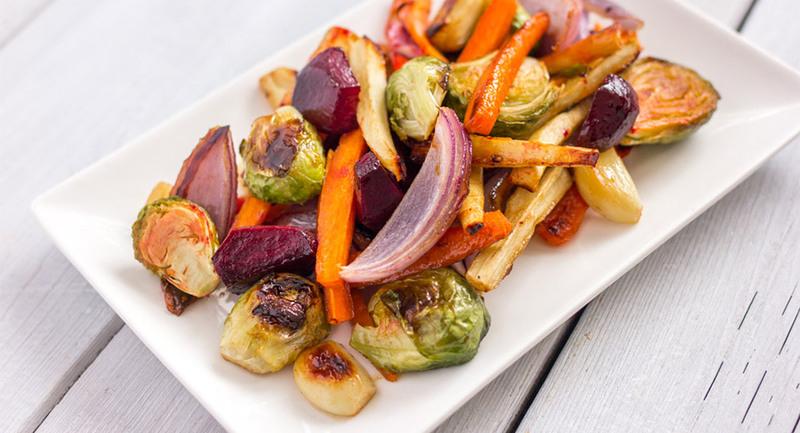 The classic way to serve it is simply to add salt and butter, but there are so many other things you can try. Herbs & Spices: basil, caraway seeds, cayenne, celery seeds, cilantro, cumin, chives, coriander, dill, ginger, parsley, mint, oregano, (smoked) paprika, pepper, sage, saffron, thyme, tarragon, and turmeric. 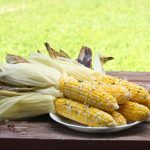 Serve corn freshly grilled (see Cooking Tips), in a traditional salsa or salsa with a twist, or just boiled with salt and butter. It always makes a great summer side. 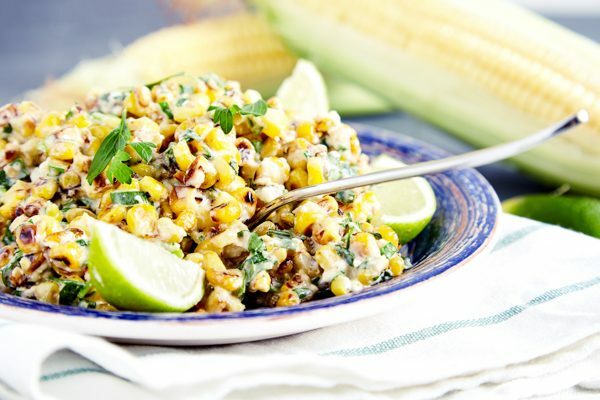 Pair corn with smokey flavours like baconto create an irresistible side dish that’s great for dinner on the patio, or even an easy camp side dish you throw in the skillet. Add an Indian twist with this garam masala grilled cornfrom Canadian Living, or stick to more traditional type flavours with these smokey sweet corn tostadas. 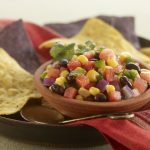 Celebrate summer by turning fresh, seasonal corn into a delicious relish to serve over chicken or fish taco, hot dogs and more. Smoky, sweet, spicy and tangy, Mexican street corn is an ideal dish for easy summer entertaining. Leek, corn and chard flatbread is an excellent meatless meal that won’t disappoint.